Mars or Die is a glorious mix between roguelite and tower defense game developed by 34BigThings srl. Your job is to control two characters simultaneously. 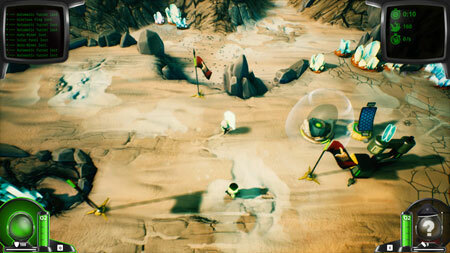 Survive, gather, collect upgrades, fight all sizes of one-eyed Martians, build defensible outposts and conquer Mars. Our Explorers hold all the necessary blueprints for efficient on-site mining operations and base building including Automatic Extractors, O2 Generators, Armories, Single-Barrel and Double-Barrel Automatic Defence Turrets, and the most important of them all, our Glorious Flag. The Masterful Invasion Plan we envisioned is divided in 9 Missions. Our conquest will be swift, sure, and certain! But, in case the pitiful Martians manage to put up a fight due to their sheer number, we are also prepared to entrench and endure an Endless warfare. If you get stuck in the game, check out the video walkthrough and gameplay for the game. This entry was posted in PC Games, Walkthrough and tagged Mars or Die Cheats, Mars or Die Game, Mars or Die Gameplay, Mars or Die Guide, Mars or Die Hints, Mars or Die Review, Mars or Die Solutions, Mars or Die Strategy, Mars or Die Tips, Mars or Die Walkthrough by Marvin. Bookmark the permalink.